This year’s American Cancer Society’s Relay for Life was held in Palmetto Bay’s Coral Reef Park. Called ShamROCK in the Park, since it was held the day before St. Patrick’s Day, the day was filled with energy, emotion and fundraising. 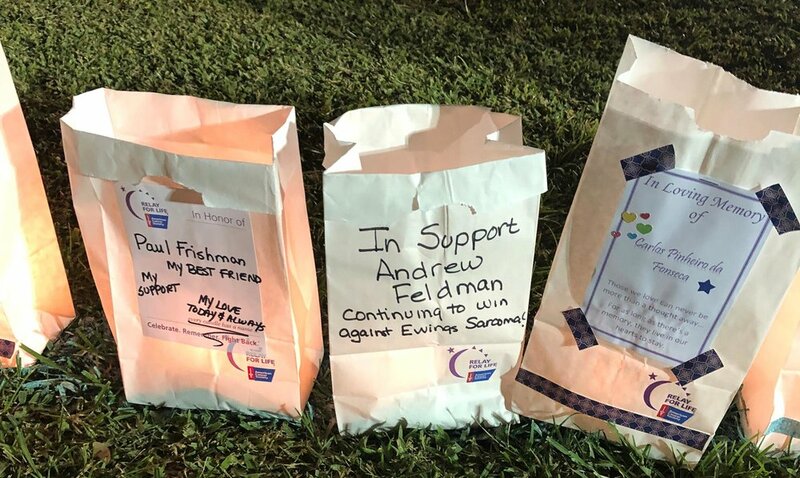 Tears, hugs and smiles powered the day, especially with the Luminaria Ceremony, where hundreds of candles in white bags were lit in honor of those who were and are battling cancer. ShamROCK in the Park featured local school performances, and, as the name implied, some great rock bands that took the event from evening into the night. It is estimated that the relay, carried out by teams and individuals, logged hundreds of miles of steps. You can make a donation to benefit South Dade at relayforlife.org/southdadeFL.